Finding the best family law solicitor in Cardiff & Bridgend, Wales - guidance on the factors you should take into account. When the need arises to secure the services of a family law solicitor most people are faced with a difficult task in trying to work out the best family lawyer for their individual needs. 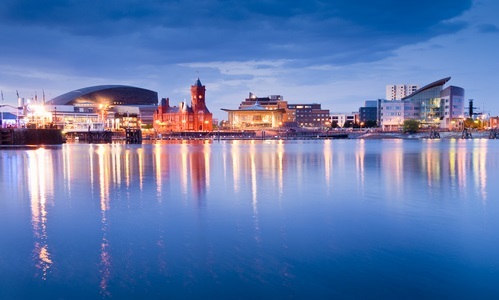 Cardiff and other major cities in Wales have many law firms which offer family law services and telling law firms apart can often be challenging for anyone with no previous knowledge or experience if using their services. Given that making this choice is usually occurring at an emotional time the task can be quite overwhelming and many people may simply choose a law firm with a local office that is nearby or follow a personal recommendation from a friend or colleague. To make a more informed choice what factors should be taken in to account to try to ensure the best family lawyer for you is selected? Does the solicitor who will handle your case have significant experience in the area of family law that you need advice on? Does the solicitor hold any specialist accreditations from the Law Society for family law? What approach does the solicitor have to family law matters? By looking at their profile on the firm website you may be able to get an idea of how they would look after your interests. 4. Is free initial advice on divorce / family law offered? Does the solicitor or law firm provide any free initial advice? It is often wise to have an initial chat with your prospective lawyer to see if you feel you can work well with them and that you can trust their judgment. Is there clear information about pricing for using the services of the family lawyer? Fixed fees are ever more widely used and popular as they bring certainty around legal fees which, when unknown or unclear, can be a source of considerable angst. By considering such matters you may be able to make a more informed choice and we hope that we have been of assistance. At Unlock the Law we recommend law firms who meet the highest standards. In Cardiff we recommend that you visit www.familylawcardiff.co.uk where free initial advice can be obtained on family law matters.